The fall semester of Chinese universities normally starts in September. Submit application at least two months before the course starts is suggested due to the vacancies may be limited. This guidance is for students applying for degree courses or long-term Chinese language courses starting in September. After the starting date: As a service provider, SICAS has a broad cooperation with China’s universities. Since we were established on the basis of the invitations and authorizations of China’s universities, they usually give priority to application sent through our platform and offer the fastest admissions to our applicants. 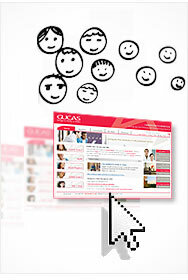 You can consult admission@sicas.cn to see if there are still vacancies for certain courses available.